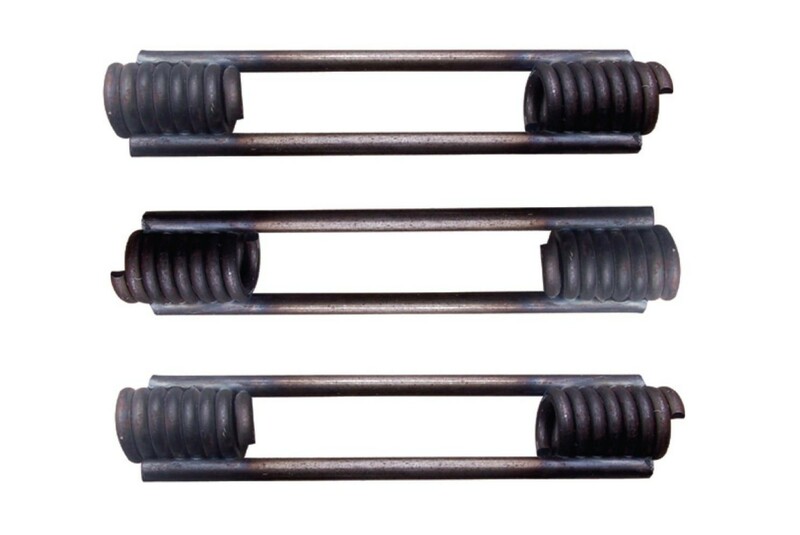 SPI Equip’s coil ties are known for their strength and reliability. 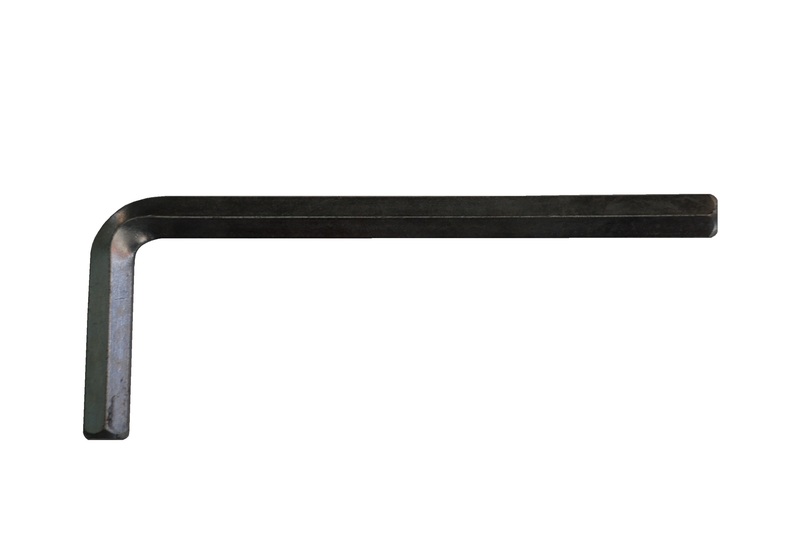 This is a fast, reliable tie system with a 23kN SWL and does not leave a hole through the wall. 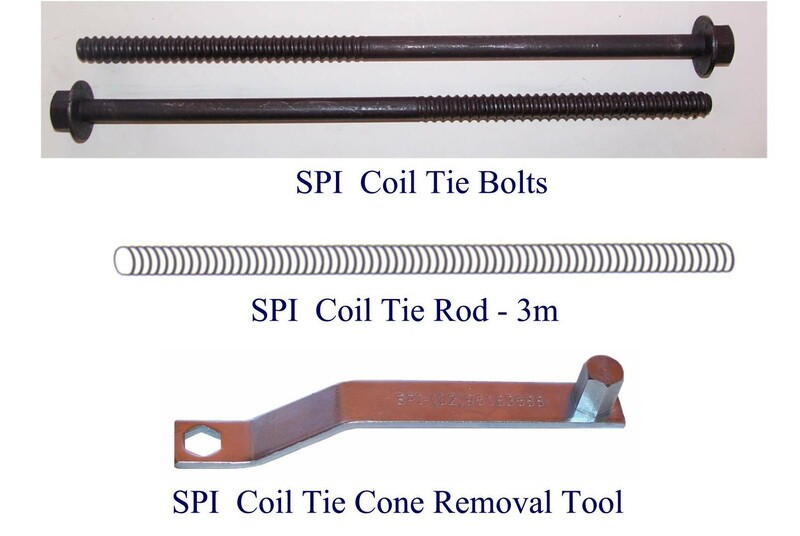 SPI coil ties are available in CT125 to CT600. Walls can be formed between 125mm to 600mm thickness using the standard CTC25 coil tie cones. We also make SPI coil ties to order, including hold down ties for bridge void formers, which can be over 3m long and are hot dip galvanised. 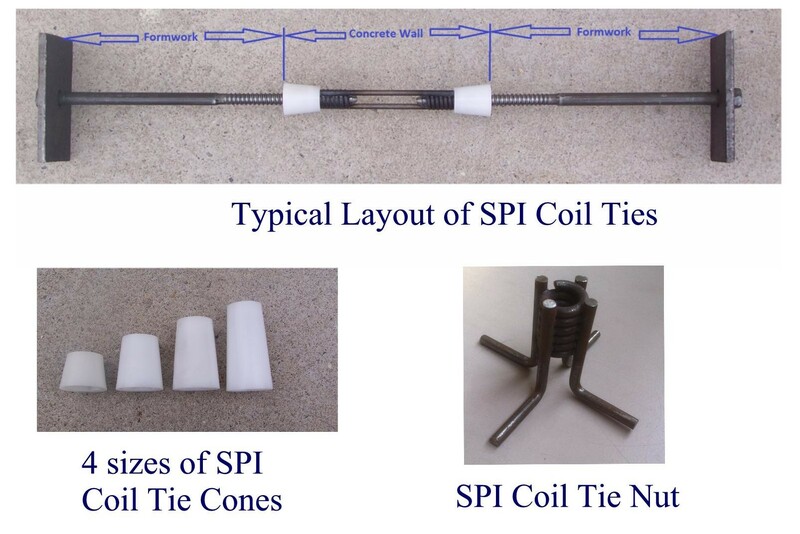 SPI’s coil tie system also has 4 different cones sizes. These offer different concrete covers, being 12.5mm, 25mm, 37.5mm & 50mm. The standard size and cover is 25mm. Our coil tie system includes high tensile steel bolts that are available in 5 different sizes (the most common size is the 300mm bolt). 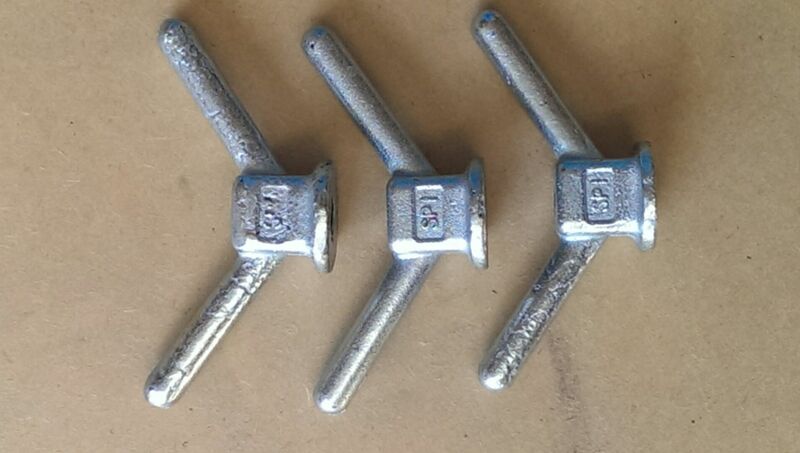 In addition, SPI also offer coil tie rods, coil tie nuts, 8mm plates and cone removal tools.